The health of your eyes matters to you and to us, which is why we’re offering OCT to all our patients. OCT (Ocular Coherence Tomographer) is performed with a technologically advanced piece of equipment which gives in-depth views of the layers of the macula, not seen with any other procedure “in practice”. 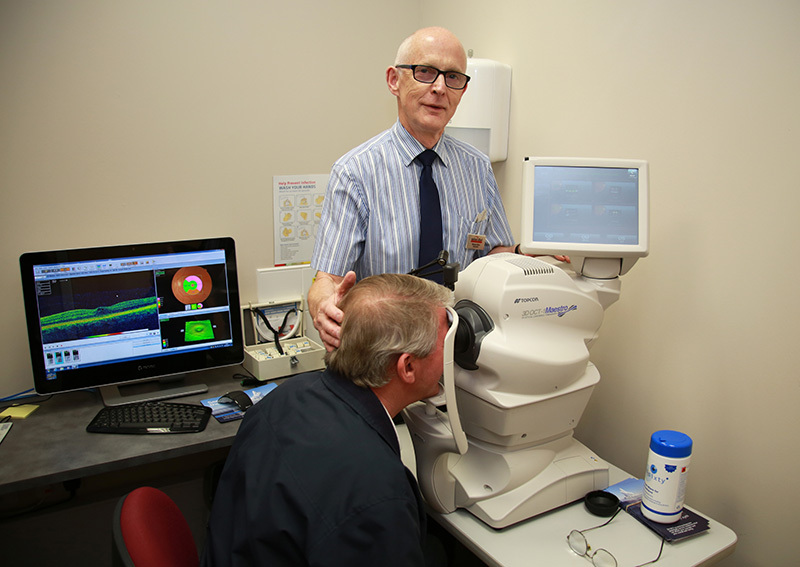 This enables our Optometrists to observe irregularities which can assist in the diagnosis of conditions which would otherwise be undetected until symptoms became obvious, often at a much later stage. Here at Michael Offord Optometrist we are proud to offer this technology to our patients, being one of the first in the area to do so. Having this technology in our practice will help us to diagnose these conditions at their earliest stage. The OCT scan is available to all patients. To book a scan or for more information about OCT, please ask one of the team.